If you're looking for ways to have a greener Christmas, consider using a downloadable Christmas letter template rather than preprinted stationery to help you with your holiday letter writing. Templates are environmentally friendly for a variety of reasons, including the fact that you won't have to buy more paper than you need, there's no packaging involved and you can use recycled paper. Read on to learn more about using a template for a greener holiday letter..
Sending Christmas cards and letters is a fun tradition during the holidays. But if you're looking for ways to go green and help cut down on paper waste, you may want to consider using a downloadable Christmas letter template rather than store-bought stationery. Using a printable Christmas template for your annual holiday letter to family and friends is an eco-friendly way to make sure you're not wasting paper - or running out! You'll always have just the right amount. What is a Christmas letter template? 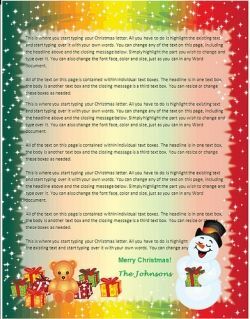 A Christmas letter template is simply a document with a holiday design that has been set up for you to customize with your own content. Typically, they are saved as Microsoft Word documents, so they're easy to edit. You simply download the document, open it in Word, and replace any sample text with your own. Basic templates may just have a Christmas background design inserted into Word with the text box already set up, or more advanced templates may include a place for you to add your own photo, or may be formatted as a newsletter with multiple columns, boxes and areas for you to write your own content. Why Use a Christmas letter template? If you're concerned about our natural resources, a template makes sense for several reasons. First, you'll never have to worry about having leftover paper that you can't use. With a downloadable Word Christmas template, you'll never have excess. Second, you can always choose recycled paper. If you buy Christmas letter paper at the store, you may have a hard time finding a design you like on recycled paper, or the recycled content may not be up to your standards. 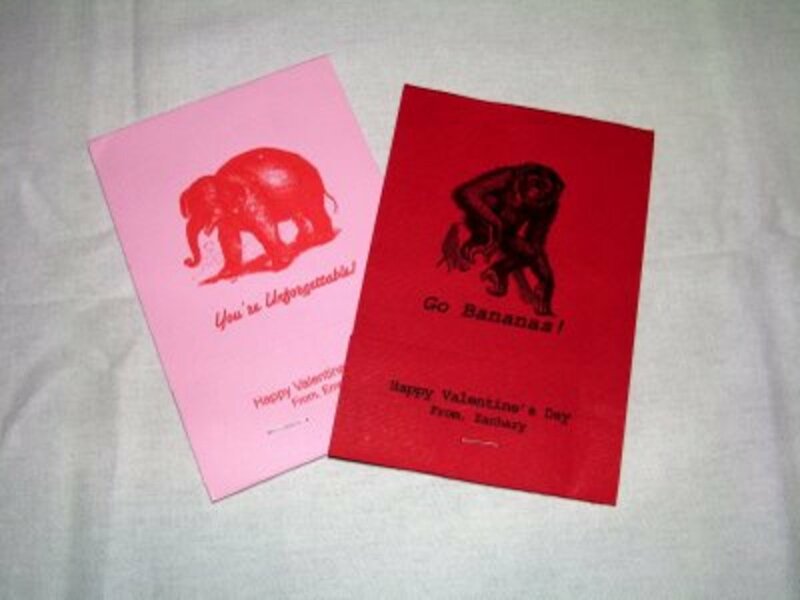 With a printable template, you can print your holiday letter on the paper you prefer. Third, there's no shipping or packaging involved. Your stationery isn't hauled across the country in gas-guzzling freight trucks or packaged in non-biodegradable plastic. So your purchase is greener and cleaner than stationery from the store. You can find inexpensive printable Microsoft Word Christmas letter templates online at ChristmasLetterTemplate.com and Christmas Letter Tips.com. 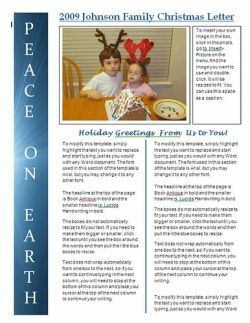 If you'd like to create a newsletter-style holiday update, but don't know how to do it, you can buy Christmas letter templates at Christmas Letter Tips.com. These templates are already formatted in Microsoft Word for you, so all you have to do is highlight the sample text and start typing over it with your own content. You can also easily add your own photos to these templates. You'll find eight different templates that you can use with any version of MS Word 97 or newer. If you have young kids who will be getting a letter from Santa this year, you may also want to check out the printable Santa letter templates available at Christmas Letter Tips.com or Santa Letter Templates. Like the Christmas letter templates, the Santa letter templates are available as editable Microsoft Word downloads that you can edit and reuse for multiple children or for multiple years. Print it out on your own recycled paper for a green Christmas! The US post office has been issuing Christmas postage stamps for holiday mail since 1962, but digital technology has made it possible for virtually anyone to create personalized USPS stamps for the holidays or to buy art created by others. If you'd like to add some character to your holiday envelopes, check out some of the great designs available on Zazzle. Here's a few of the Christmas stamps available there. From Amazon: This holiday season, Anna Getty, environmental advocate, writer, television personality, chef, mother, and organic living expert helps families reduce their carbon footprint and save money without sacrificing style or tradition. Anna advises how to best choose a tree (real or fake? ), mitigate the negative effects of necessary travel, recycle post-holiday, and more. She shares favorite holiday recipes for organic appetizers and homemade craft ideas such as pinecone wreaths and recycled sweater pillows. With inspiring photographs, extensive resources, and advice from the 'Lazy Environmentalist' Josh Dorfman, Seventh Generation's Jeffrey Hollender, and other leading eco-experts, families might just find that these tips help them stay green all year long the perfect New Year's resolution! Have You Ever Used a Christmas Template? - Please sign the guestbook and let us know you were here! Love this idea! Thanks for sharing and happy holidays! Still haven't tried a Christmas Template. But this lens convinced me to do so. Thanks for your great ideas on making a greener christmas! Now if we could only make green wrapping paper, that stuff gets thrown away by the ton at my house every christmas morning! Great lens! I haven't tried this but I would love to. I've only written a couple of Christmas letters over the years, but created my own look. Templates do sound like a good idea! Blessed by a passing angel today. I've never really used a Christmas Template before. But reading through your lens and looking at the different designs, I'm convinced that it is better to use a template. Will used Christmas templates this holidays. Thanks for sharing. No I've always used pre-printed paper - but your idea is great and you make a valid point - why buy 50 pages when you only need 30. Blessed by an Angel (you can add it to the plexo on my angel lens, if you want).